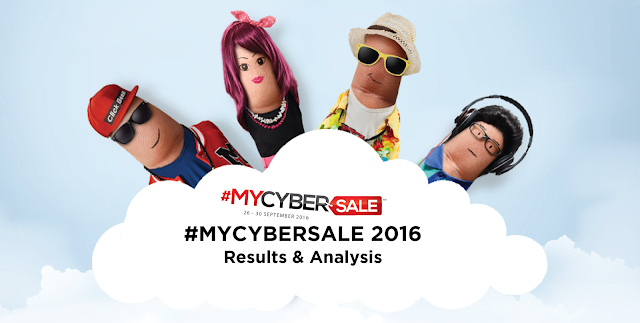 It is the time of the year again, to share #MYCYBERSALE 2016 results in infographic. This is the third straight year #MYCYBERSALE is being held, since 2014. Kudos to MDEC for making this happen. Besides being a platform for eTailers to do more sales online, this is also the yearly event to connect all merchants and industry players together. Here, we break down the data into sections. You can also jump straight the the full infographic which we have published on our Pinterest account. The main target this year is to generate RM200 million Gross Merchandise Volume (in short, GMV), within the 5-days campaign. This target is double of last year (RM100 million), and the target in 2014 was RM50 million. 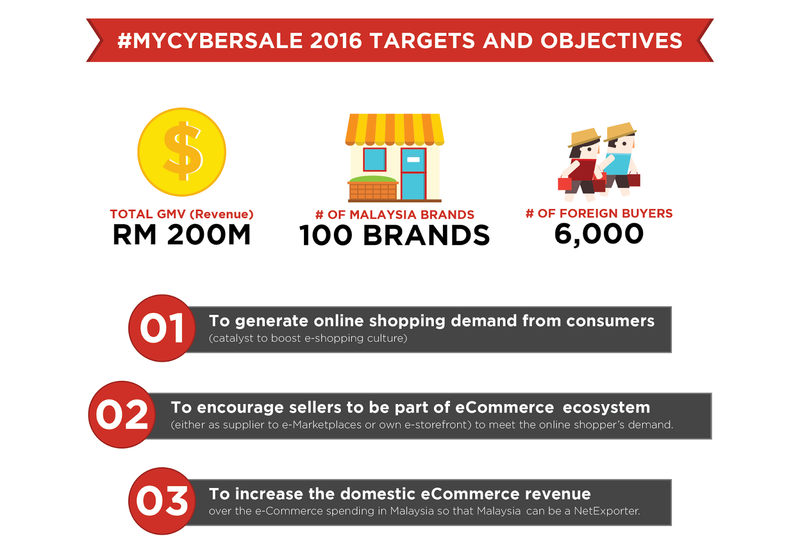 Besides GMV, #MYCYBERSALE 2016 is targeting to attract 6,000 foreign buyers. The new initiative this year is to facilitate more exposure to Malaysia brands. 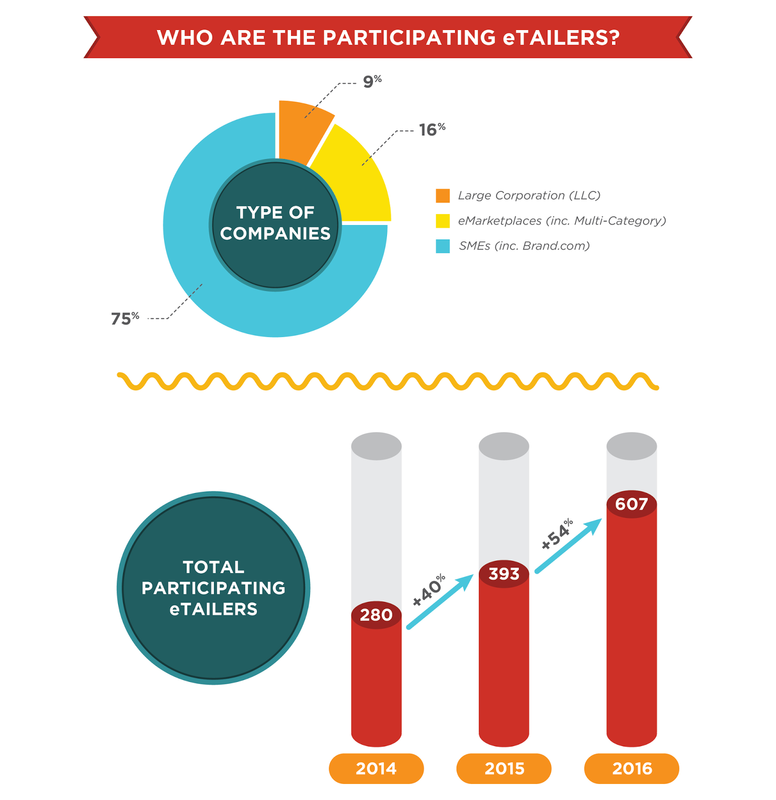 Who are the participating eTailers? 75% of the participating eTailers are SMEs with own-branded store, or in short Brand.com. 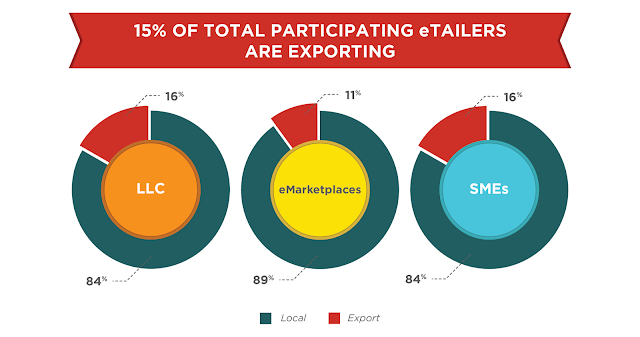 This followed by eMarketplaces (including multi-category eTailers) at 16%, and Large Corporation (e.g. airlines, or bigger companies in general) at 9%. The number of participating eTailers has increased from 393 in 2015, to 607 e-commerce websites this year. Due to the nature of the business, most of the eMarketplaces are only selling locally. Therefore, it is not a surprise to see LLC and SMEs being the ones who export more. 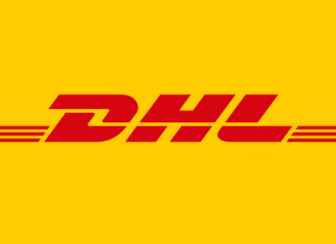 On average, 15% of total participating eTailers are selling to overseas via their websites. It is not hard to guess that most of the eTailers are selling Fashion items (23.0%), followed by Electronics (13.6%) and Health & Beauty (13.0%). 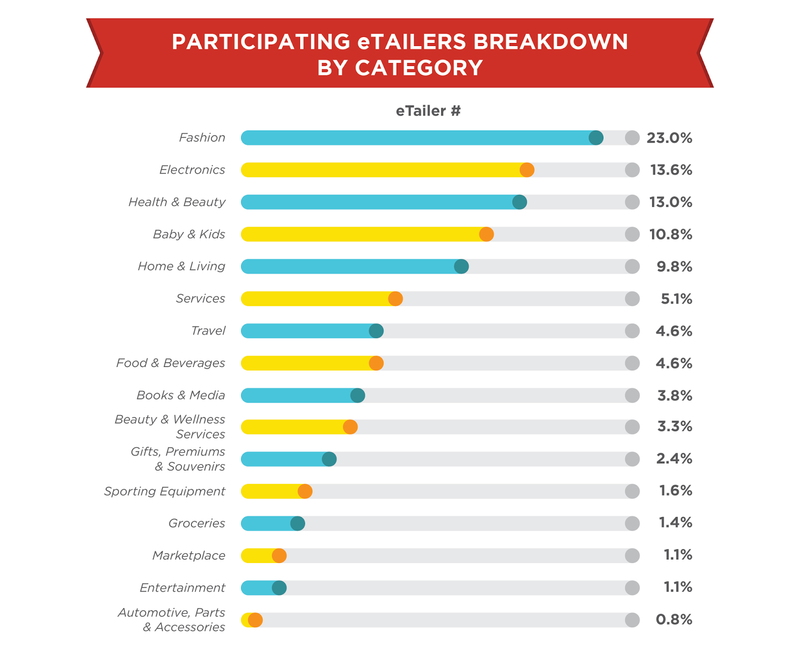 In fact, around half of the participating eTailers are selling in either 1 of the top 3 categories above. Drumroll... Here it is, #MYCYBERSALE 2016 has generated RM211 million GMV, surpassing the target by 5.5%! 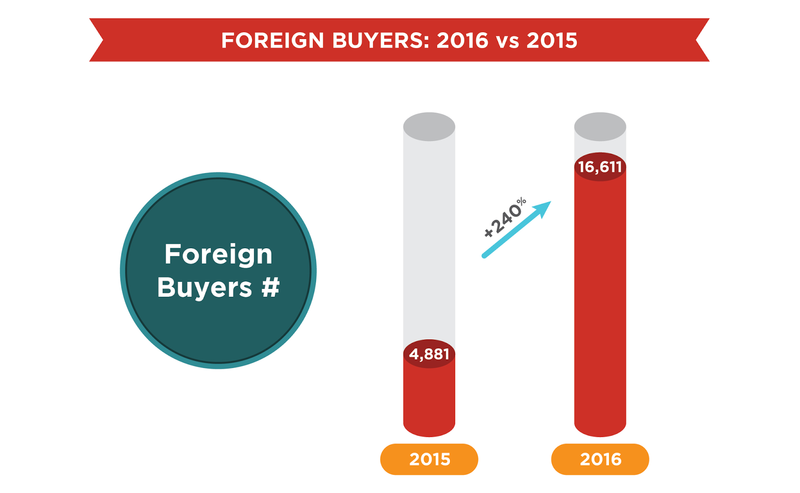 Thanks to some of the eTailers who are stronger in cross-borders, a total of 16,661 foreign buyers has been reported in the 5-days campaign. We are seeing a steady growth of GMV from 2014 to 2016. 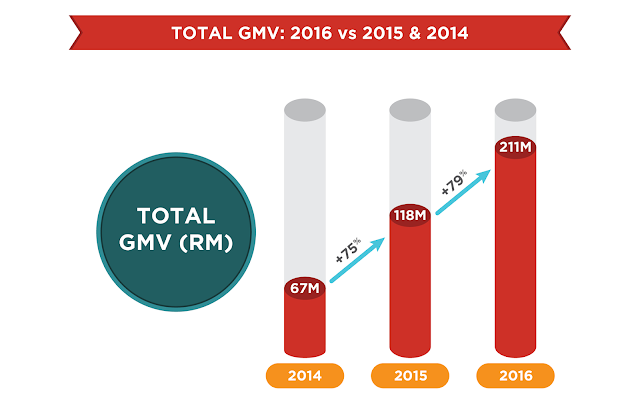 GMV increased from RM67 million in 2014, to RM118 million in 2015, and to RM211 million in 2016. What's your guess for next year? The growth of foreign buyers is even more encouraging, a big jump of +240% from 4,881 to 16,611 total foreign buyers. It is fair to conclude that the biggest driver of foreign GMV and buyers are eTailers from categories like Travel (airlines) and Fashion. In #MYCYBERSALE 2016, SMEs collectively generate RM94 million GMV, which is around 45% of total GMV. This is a +54% increase from last year. If we combine both SMEs and eMarketplaces, collectively they generate 60% of total no of buyers and orders. LLC on another hand contributes to 55% of total GMV, which is logical by considering eTailers like airlines who command higher AOV (Average Order Volume). 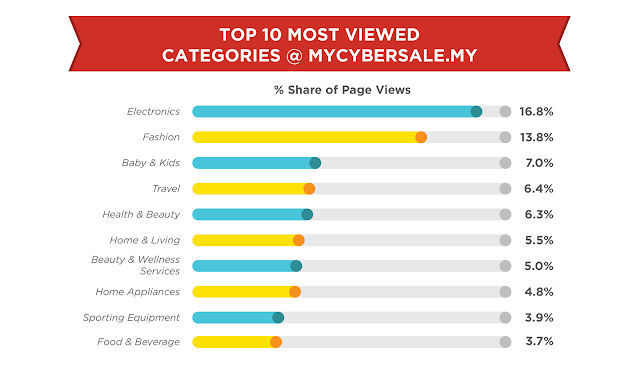 Chart above is compiled from Google Analytics of #MYCYBERSALE website, looking at the % share of page views by category. It is fair to assume that the more page views it is, there is more shopper's interest towards that particular category. Electronics (16.8%) is the top category in this segment, followed by Fashion (13.8%) and surprisingly, Baby & Kids (7.0%). Last but not least, we sort the top performing categories by no of orders. 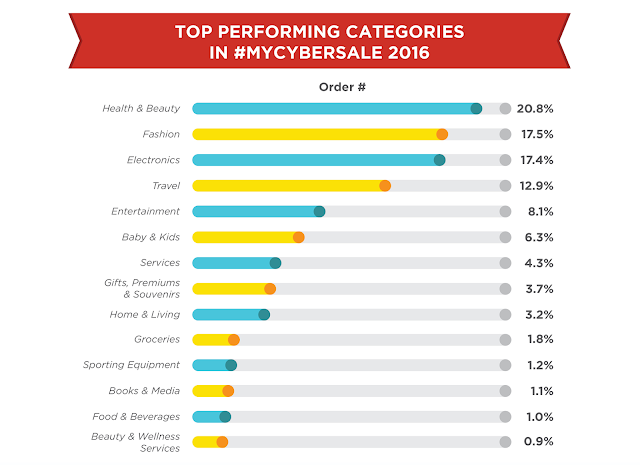 20.8% of total orders made in #MYCYBERSALE 2016 are Health & Beauty items, followed by Fashion (17.5%) and Electronics (17.4%). If we sort the categories by GMV, Travel will be the chart-topper instead due to its relatively higher AOV (think airline tickets). Check out the full #MYCYBESALE 2016 infographic here.